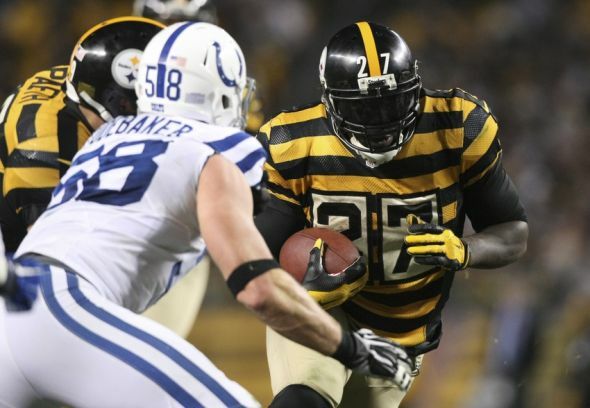 Top online sports betting sites are having the Steelers as the heavy favorites this coming weekend when they play the Indianapolis Colts, at home, in a game that promises some thrilling football action. Both teams enter this game with a 6-5 record and both teams need the win to keep their playoff hopes alive. While the Colts are looking to distance themselves from the Texans on the top of the AFC South, the Steelers are fighting for a Wild Card spot with three other teams. The Colts are getting into a rhythm that has them in high regard among a lot of media pundits. In the past two games the Colts won both games by coming from behind in the second half. Last week, Matt Hasselbeck had a great game, with a phenomenal second half. Their defense also was able to had a display of toughness, shutting down Tampa Bay on the second half. Yet, if the Colts are playing so well, the why on earth are they the underdogs in this game? The average line on top online sports betting sites is -7.5 for the Steelers. The reason is simple, the Colts can be a great team capable of some great performances, and however they have a Jekyll and Hyde thing going on. On that same game versus the Buccs, while they were having a decent game on offense, on defense they let Tampa Bay score on all their drives. If the Colts want to pull the upset they must keep the momentum they closing the game in week 12. The Steelers have had some good moments and some bad ones this season. Big Ben’s struggle with injuries has proven costly for them as they might have a much better record if Roethlisberger was healthy. While he is cleared to play this game, the Steelers are hoping that he can stay healthy for the remaining of the season. Furthermore, the Steeler’s secondary has shown weakness in pass defense, and considering they are playing a QB that was on fire on his last game, they must be concerned coming into this game. So far in this analysis, it sounds like a pretty close match. The difference maker on this game is going to be the Steeler’s wide receivers. There is a definitive mismatch there that can be exploded and the very reason why the Steelers are expected (and should) win this game with some ease. Top online sports betting sites are expecting this game to be a high scoring affair, that can be very exciting. Expect this game to be closer than it should, but with the Steelers taking the win 35-28.